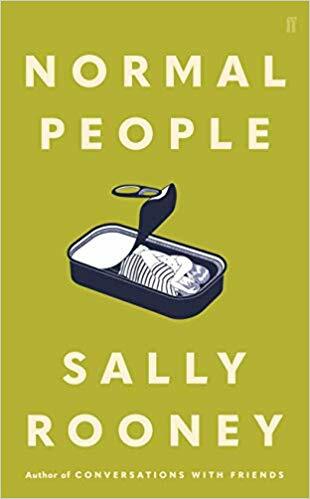 Anyway, I’m happy that I was finally able to get around to reading my copy of Sally Rooney’s new novel, Normal People. FULL DISCLOSURE: I’ve met the author because we’re both published by the same publisher, were once nominated for the same award, and share a mutual friend. This… is the funny thing about maintaining one’s 10-year-old book reviewing blog. Who reads blogs anymore anyway, right? My minimum expectation at this point is to not be stalked and harassed like I was in fall of 2015, lol. And in 2008 I was definitely not, like, contemplating the “ethical” quandaries of discussing a book by someone I “know” (however tangentially). But isn’t the purpose of this blog (other than to amuse and entertain me – or, in Kurt Vonnegut’s words, to “fart around”) that of keeping track of books that made an impression on me? And that’s exactly what this book did! It made an impression on me! There it is: it moved me. What I probably found most touching (thematically) in this book was its emphasis on the importance of depending on others. This is something I’ve been thinking about a lot – because in so many ways, the novel is a very ‘I’-obsessed form. If you think of the novel as a creation of a voice, a personality, a presence… that’s a very pro-U.S.A. mentality, in a way. To focus on the individual, rather than the group or the community. IDK. These articles (by Viet Thanh Nguyen and a New Yorker piece about Julio Cortázar) provided a lot of food for thought, back in the day when I read them. Overall, I found this book incredibly thought-provoking, and it’s not often a book makes me feel that way.